Indonesian media reports on Sunday say a plane has crashed off waters near East Belitung. However, there has been no confirmation that the plane crashed or the wreckage has been found. UPDATE as of 7 p.m. ET: Indonesian authorities on Sunday afternoon ET said the search for the plane–now missing more than 24 hours–will resume. According to AFP, Australia has joined the search for the plane. A National Search and Rescue Agency (Basarnas) told the Jakarta Post that the AirAsia plane is downed in Belitung waters at 03.22.46 South and 108.50.07 East. It’s located about 145 km from Belitung island. A spokesperson for the agency told the Post that it dispatched a search and rescue team to Belitung. 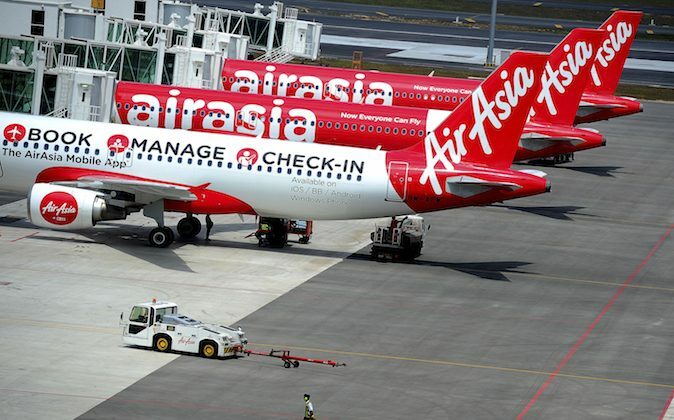 AirAsia Flight QZ-8501 went missing on early Sunday morning going from Indonesia to Singapore. READ MORE: Was 2014 the Worst Year for Air Crashes? “We are still coordinating and gathering information from the fishermen and the ships passing through the Beltim coast,” AKP Yanto told Bangka Pos. According to a Google Translate of the Bangka Pos article, it said an “Airbus reportedly crashed in the waters of East Belitung.” The headline says the “AirAsia Airbus” was the plane. Indonesian Transport Ministry official Hadi Mustofa said the plane asked for an “unusual route” before it lost contact near Kalimantan and Belitung island, Reuters reported. Captain Iriyanto, an Indonesian, and First Officer Remi Emmanuel Plesel were identified as the crew for AirAsia Flight QZ-8501.